I've splurged a little recently. I don't think I've bought a makeup item in a few months (Christmas? ), so I figured why not. Actually, I got a few of these things for "free". 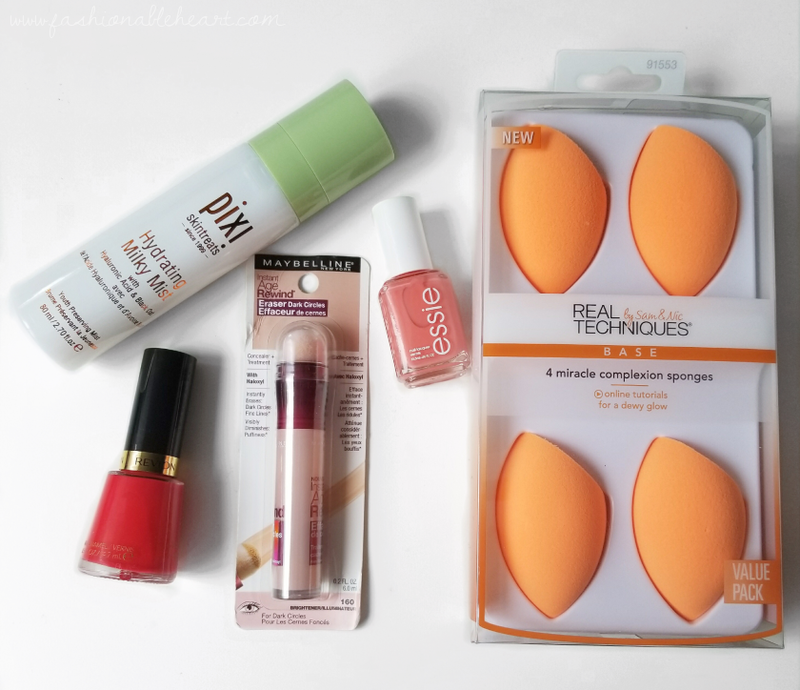 I say that, because I used my Shoppers Drug Mart points for some of the items. It's a (Canadian) program where you get points every time you make a purchase and then you can redeem them after reaching certain levels. 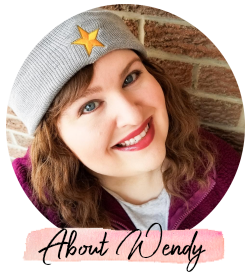 I promised my friend Laura on Instagram that I would do a post on the program and share a few tips, so look for that post soon if it interests you! This is a collective haul over the past month. So here are the items with little tidbits of my first impressions. 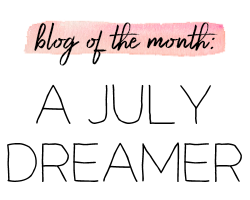 The facial spray, mascara, and concealer will all be reviewed more in depth in their own posts! Real Techniques Sponges - This is the value pack of four, which saves you a few dollars if you were to buy them individually. The pack can be found at Walmart! Honestly, I've come to prefer these over the Beauty Blender. I find they last longer and do just as good of a job at a wallet-friendly price. Pixi Beauty Hydrating Milky Mist - I haven't tried this enough to fully rate it, but I love the smell and I do notice a softness to my skin after it has settled. So far, I'm digging it. More later! Essie Carousel Coral - I'm feeling the summer brights right now with my nail polish choices. This one is a great peachy coral and doesn't look too out of place against my pale skin. Revlon Fearless - A bright red! I'd say it is lighter than their Revlon Red color, more in the cherry red family. I don't have many reds in my collection, so I figured chances were slim that I would have something similar. I do have one that comes close, but it is a little darker. This one is a nice punchy red to have and perfect for warmer weather. Maybelline Age Rewind in Brightener - I already have the fair shade and it is HG status for me. I'm looking forward to seeing how this one goes for brightening! Revlon Enchanting - I got the two Revlon nail polishes at separate times, but it is funny because both remind me of Taylor Swift. That's not why I chose them, but I'll definitely wear one of them the next time I see her in concert just for kicks. :) This is a really nice purple for summer. What you see in the bottle is exactly how it looks on the nails. 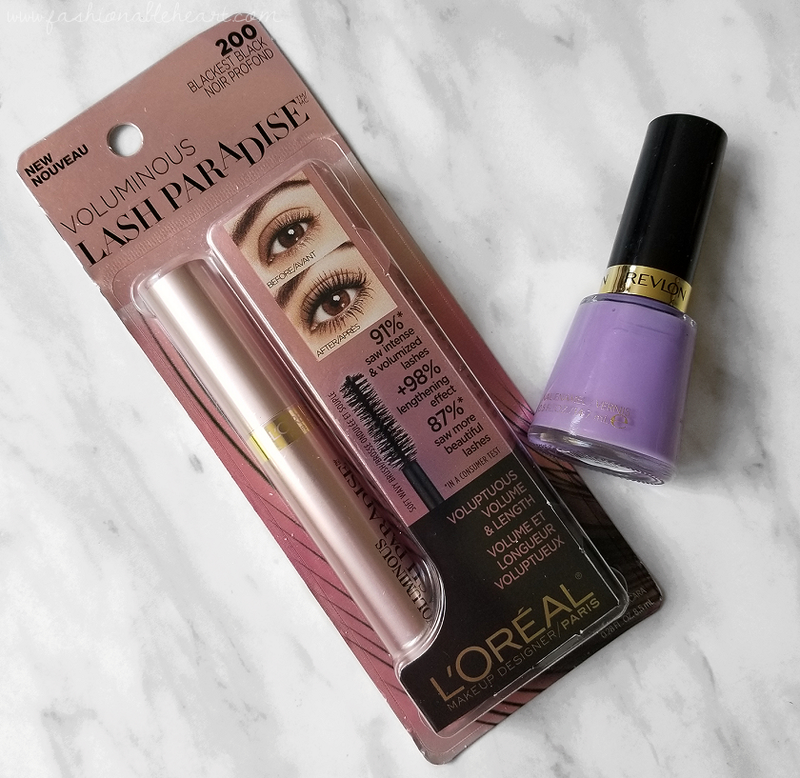 L'Oreal Voluminous Lash Paradise - Holy cow, you guys. I don't want to give too much away so that I can blog about it later, but holy moly. It's the best mascara I've tried in ages. That hype you're hearing? Believe it. 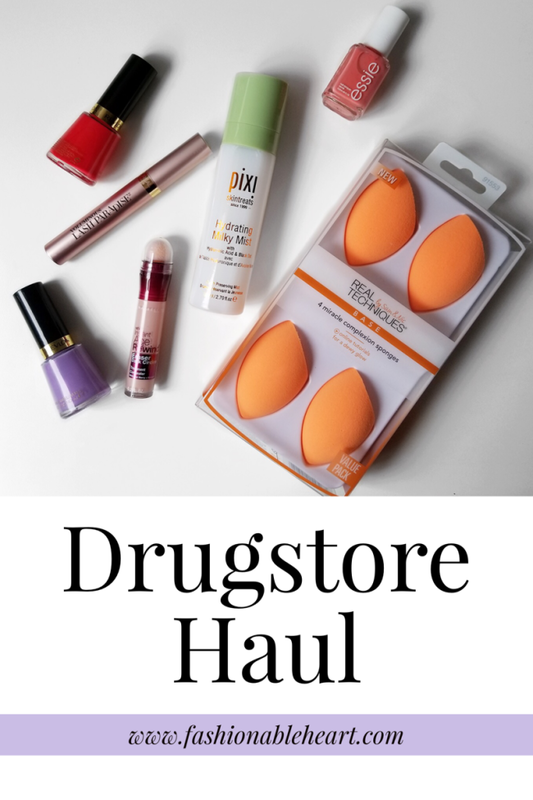 Have you gotten anything from the drugstore recently? I'm quite pleased with what I picked out. I wanted to get this post up yesterday, but we had to help a friend unexpectedly and let her stay here a few nights. So my day was spent speed-cleaning! Nothing makes me clean faster than a guest coming over. I hope you all have a great weekend!